White wood 16x20 memory photo frame hold 2-4x6 and 2-5x7 photos. 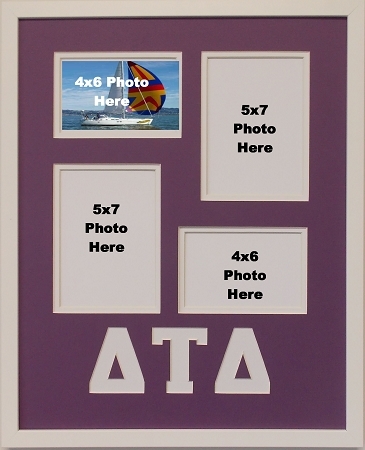 Custom picture frame with purple and white mat with beveled edges includes licensed Greek Letters Delta Tau Delta. Easy access from back for changing photos. Includes mounting board, glass and wall hanging system.